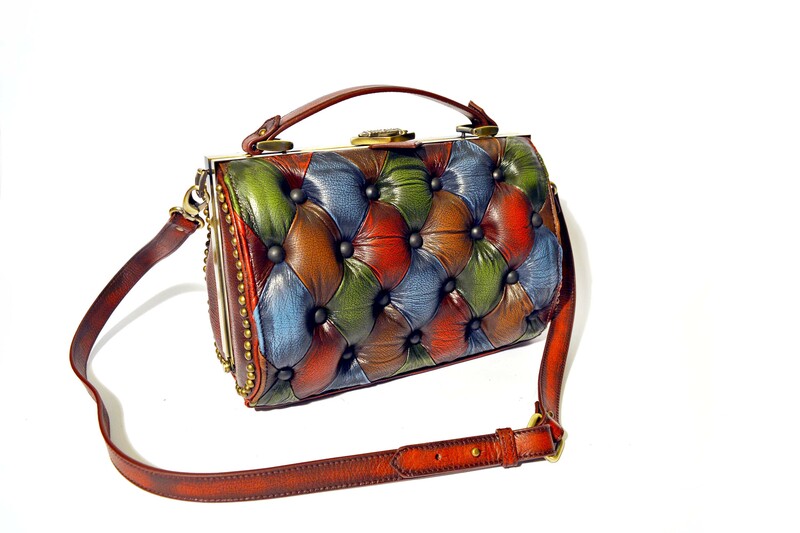 This is the Harleq Bag. 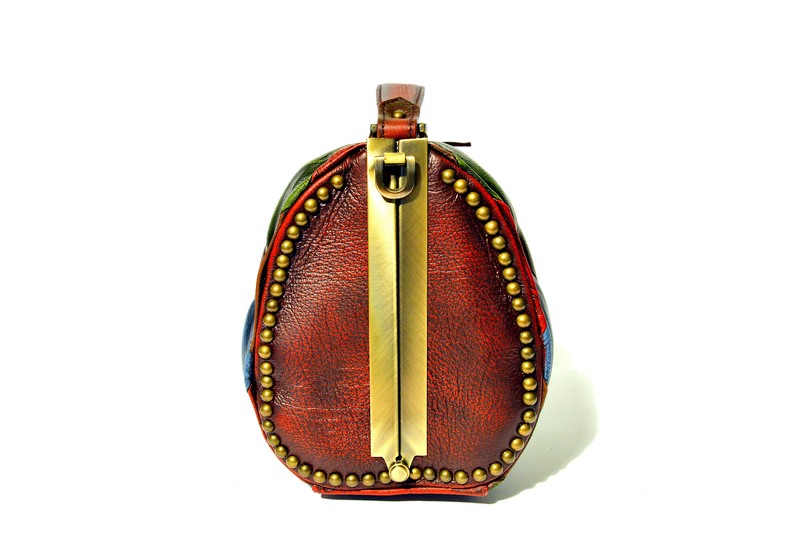 We decided to embellish both sides of the Harleq Bag with dozens of individually inserted brass studs. The result is a unique outline of the trunk shape. 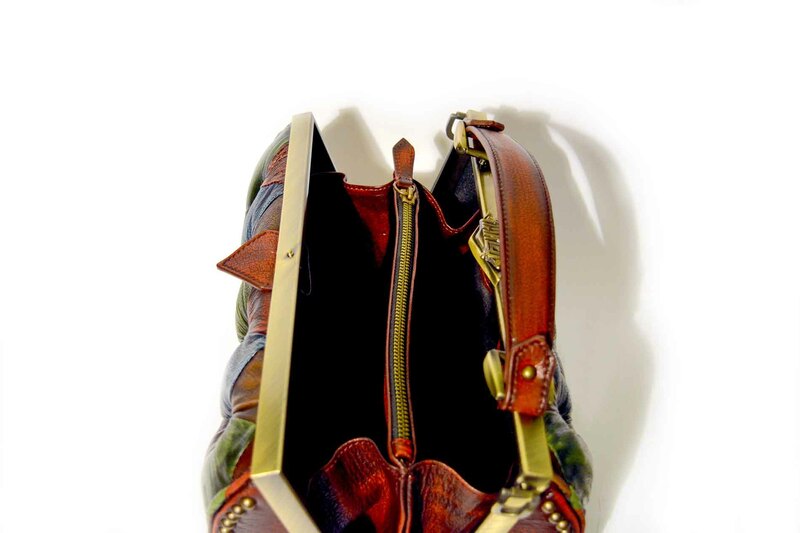 The closure mechanism is completely bespoke, a brass finish detail. Unique opening easly done with the pressure of the logo makes the Harleq Bag Handsome! 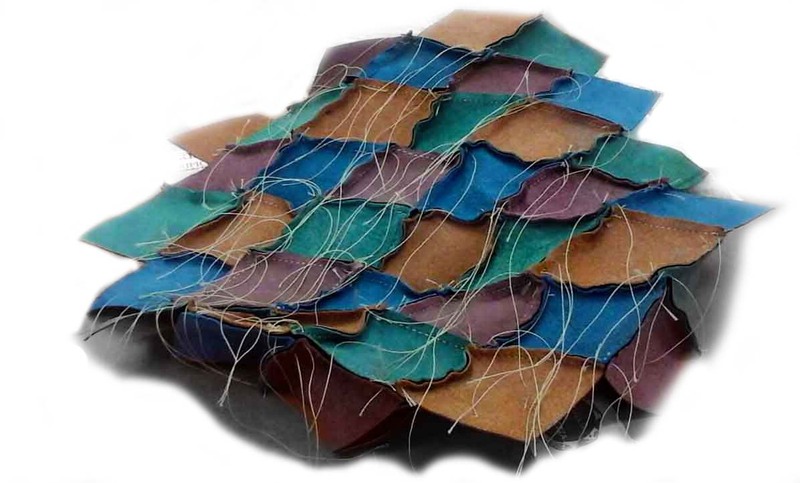 It is unbelievable that in such a small bag there are an incredible amount of small leather diamonds handsewn one by one. 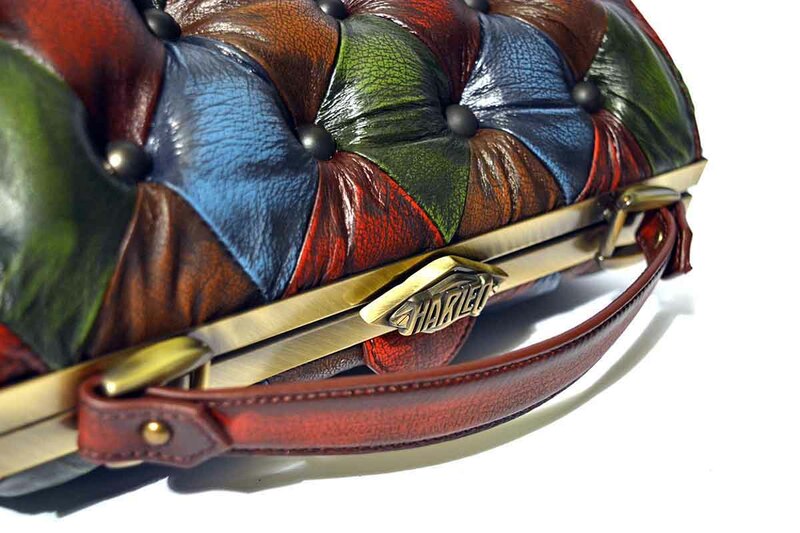 The Harleq Bag is a sculpture of leather. 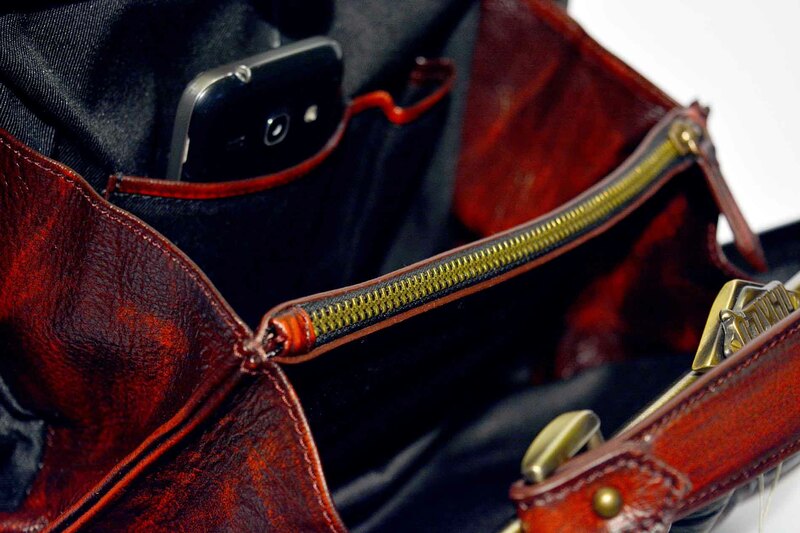 The Harleq Bag has a central zip compartmen, interior pockets including one for Smartphones. All of them in such a small bag!